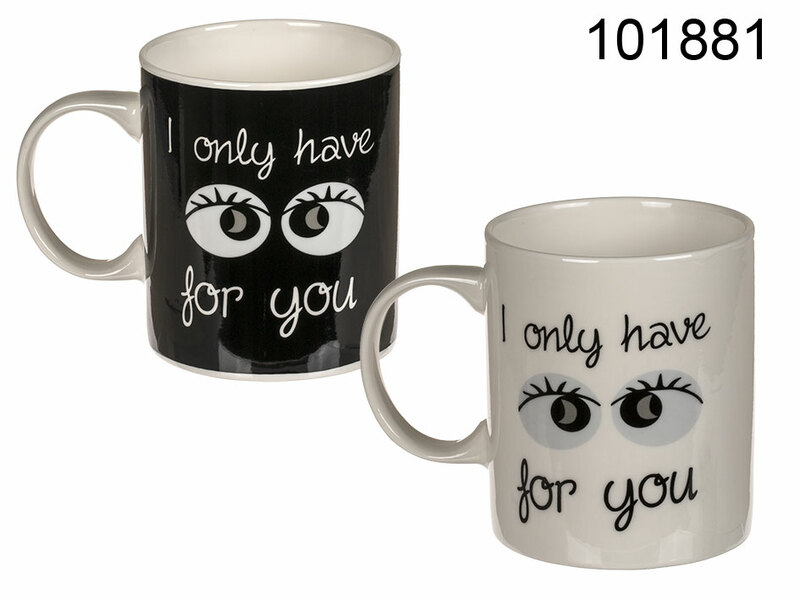 New bone china mug that reads "I only have eyes for you" with picture of the eyes insted of the word "eyes". Two colour versions available - assorted. Romantic promotional item for Valentine's Day. - decorative image of eyes instead of the word "eyes"